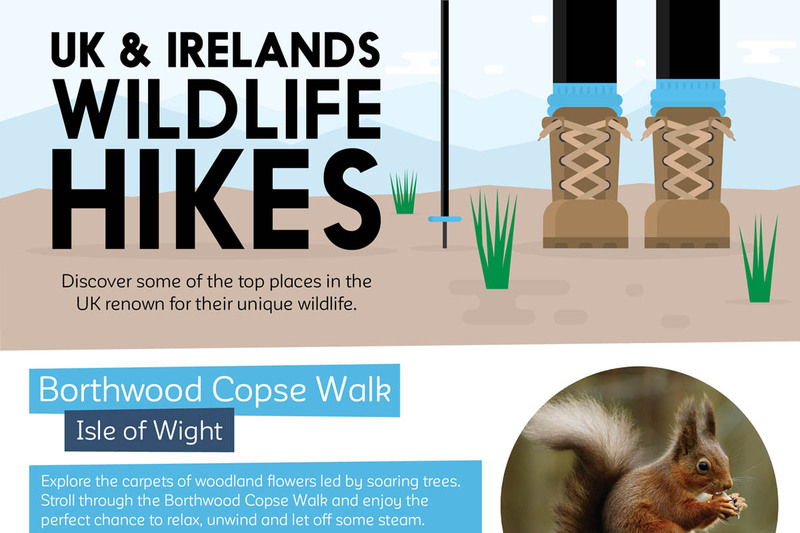 Rural UK and Ireland are gems for nature lovers and much of the countryside is known for its awesome hiking options. This walk is a stunning way to see the more secluded parts of the island. This dog friendly trail is 1.2 miles (1.9 km) and makes an easy hike through woodland flowers like beautiful bluebells and it leads you under the branches of ancient trees. The hike is known for its abundant sightings of the iconic red squirrel, as well as sweet dormice and a huge variety of bird species. This walk is dog friendly and takes hikers across the rugged and spacious moors in West Yorkshire. At 8 miles (12.8 km) it is a moderate walk that should take between four and five hours. The moors are known for their bird life; curlews and grouses are a favourite, but there are also many mountain hares and shrews to see. The weather can be unpredictable so it’s best to pack something warm. Petworth Park is great for a 4 mile (6.4km) moderate walk with your dog, but it is also just a great place to relax and picnic with the whole family. The open spaces, big trees and green grass make it the perfect place to see a great number of birds, as well as fallow deer and other lovely little critters while spending time with the family. This is an easy 4 hour walk, which is 7.4 miles (12 km) long and takes you around the small, remote and astoundingly beautiful Tory Island. This dog friendly hike will take you through incredible sea views, ancient architectural sites and it is one of the best places to see the rare basking shark in the UK. This 7 mile (11.2km) hike is perfect for a wildlife walk with your dog, and it should take you around 4 hours. The walk is known for its astounding coastline views and for sightings of noisy Egyptian geese, as well as grey fur seals. Troup head is not necessarily a hike per se but an excellent place to take your dog (on leashes only) for a walk that will test your fitness, while looking at incredible views across Scotland from the high cliffs. It is the only breeding place of gannets in the UK and you can also expect to see puffins and hares, as well at whales and dolphins. Check out this infographic by Hi-Tec.